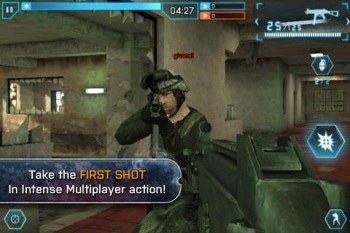 EA's recently pulled Battlefield 3 app won't be returning due to an incurable case of crappiness. "In the interest of bringing consumers only the highest level of quality mobile entertainment EA Mobile has decided to suspend development and support of Battlefield 3: Aftershock and refocus its resources on other titles." The game's servers will remain active until March 31st, for those of you with an inhuman degree of tolerance for fundamentally broken gaming experiences. We didn't review the game here at The Escapist, but former news room contributor, Mike Thompson, did pen a review of the game for Gamezebo, in which he called it an "insult," "beyond awful" and a "colossal middle finger from Electronic Arts to mobile players."